We offer cleaning services for houses, flats and offices in Tallinn and its close surroundings. 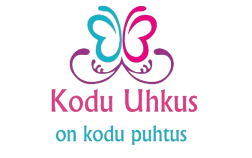 Kodu Uhkus OÜ always searches for the individual approach to their clients and tries to fulfil all their wishes. We love and value our job and we are professionals at what we do. When offering services, we provide our customer with the cleaning schedule organised and structured according to the customers’ needs and wants and that allows us to perform the best service. Schedule contains not only the frequency and the length of the sessions, but also information about used chemicals (there is a choice of environmentally-friendly liquids). We also offer the opportunity to order additional services, such as window cleaning, steam cleaning, deep cleaning, oven and fridge cleanings. What is more, NOW there is a possibility to order cleaning of the outside/inside pool with special chemicals and equipment.